From a brilliant career as a top athlete, Tamesue Dai, former professional athlete continue to gather attention through genre-crossing activities after retirement. Recently he’s been co-directing the exhibition "Athlete Exhibition" presenting a new image of athletes, the exhibition is held at the 2121 Design Site since February of this year. Knowing the point of view and spirituality of athletes who seem to be looking at time and space differently from ours, is letting us discover a world that is not only about the field where they aims for higher speed but also to discover a view on their everyday life that no one really understand. We now know Tamesue-san as an athlete, an office worker, and as a coordinator in many events. ー Although you are involved in things other than sports after you retired such as community and town planning, what kind of things motivates you now? I think that curiosity is what drives people. I think it is exciting when you’re working in a field that isn’t your own specialty. It is fun for me to be able to do what I could not do until now, or to learn what you don’t know. So I think that the range of things to do is getting wider as a result. ー As a former pro athlete, is the work you’re doing now as a community and town planner has been more challenging? In a sense I think it is a benefit for me because I know the world of pro sports and I can analyze and teach coaches how to think and communicate in a marketing way with the audience, I am a bridge between the two worlds. I don’t know if connecting these two worlds is a good thing but for sure we at least can have good idea coming out of this collaboration. Also by connecting these two different world you’ll have new ideas and concepts that you wouldn’t have thought about before, I think that having only one way of thinking is not good enough. Lastly I think that having different interests and doing many things is a good way of living. 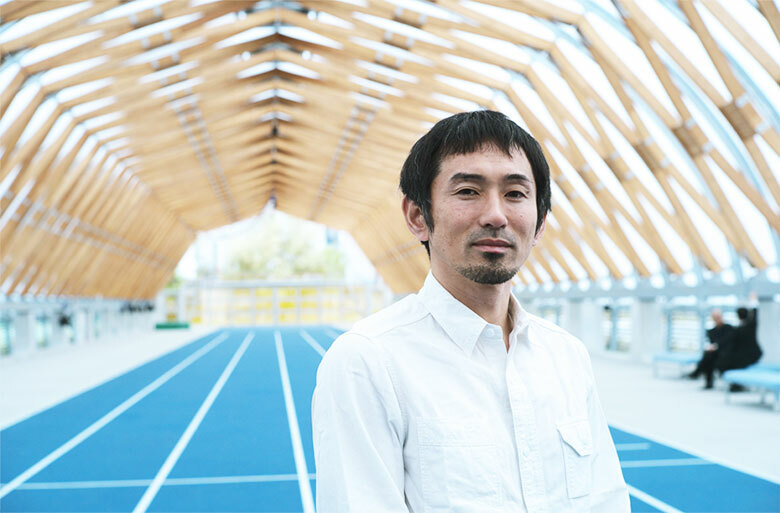 ー The director of the "Athlete Exhibition" (hold until June 4, 2017) was not interested in the notion of an athlete being a superhuman but was drawing an image of the athlete being an extension of ordinary people and it was very interesting. Please tell me once again what kind of athlete image you were going to draw here for the readers of Ensemble magazine? The most important point in any sports is that the motion have to be natural and an extension of a natural movement. For example with Michael Jordan’s dunk, everyone think of it as an exceptional movement. When a person for example have a cup in the hand, they know what the cup is made of and so how to interact with the object, but if it was a robot, they’ll have to analyze the object first and then apply the right pressure and weight on it. If I can explain how the human body cleverly works, I can then explain how the pro athletes are. ー I saw the "Athlete Exhibition" and it was particularly visible that the top athlete is presented as as a superhuman with a sophisticated kind of life, but they also are just normal humans too. I think that it was very good that I was able to think about it again concerning this exhibition. I am interested in the thoughts process in which a person changes, but I had only knowledges of print exhibition processes and other research so far. Artists and creators from various fields participate in the "athlete exhibition". It was a more immersive and digital kind of exhibition that is trying to make people experienced it in different ways, what I saw during the exhibit is a more direct expression of people’s reactions, it was fresh and stimulating. ー We are interested in the way athletes sees the town, what kind of thing do you imagine when you say "athlete and town"? I think there are several hierarchies there. In terms of strengthening physicality, in the case of an aerobic system for example, there are camps in highlands exceeding 2000 meters, I think that there are cities where it is easier for athletes to gather. If it is a land sport it will be necessary to have a stadium, if it is surf the sea is needed, and certain other external factors. From the point of view of the attitude of an athlete, everyone’s doing their best pulling a step one by one, I think it is more difficult for athletes to grow in places set in a pre-destined environment that is only suitable for doing a certain kind of competition. For example, if you are at Shinagawa Station, the space is designed so that you can enter the building from the station without thinking about where to go or what to do. ー Oh it is true yes. On the other hand, I think that the essence of an athlete is not "automation" of such behavior but "spontaneity". In sports, each moment is different, it is always a random event that spontaneously leads the way and changes the environment. If the environment is pre-designed, it seems that the athlete nature in the essential sense will have difficulty to grow. ー In that sense, in the 2020 Olympic Games, the skateboard (roller sports) born from the city’s street became an official event. Cities that nurture such sports can also be said to be suitable as sports environment. In the case of skateboarding, if you attach wheels to the board, it will become a sport, but being categorized as sport is a way to add rules to acts in the first place, rules are made when it is recognized as a sport. If you want to see it widely, if you use the body to do/play something, roughly it will be considered a sport. ー There is a possibility that things born from cities enrich sports in general. In that sense, what kind of problem was there that it made you want to make a track and field facility like the "Shin Toyosu Brillia running stadium"? It is a facility with the concept that everyone can enjoy sports and art. I think that few people have entered the field of a stadium. I just wanted to increase that number simply since a long time ago. I felt that I was doing athletics, but in proportion to the declining birthrate and aging society, the government is encouraging the country to exercise, in this country where such stadiums are hard to use because of the several rules to follow. 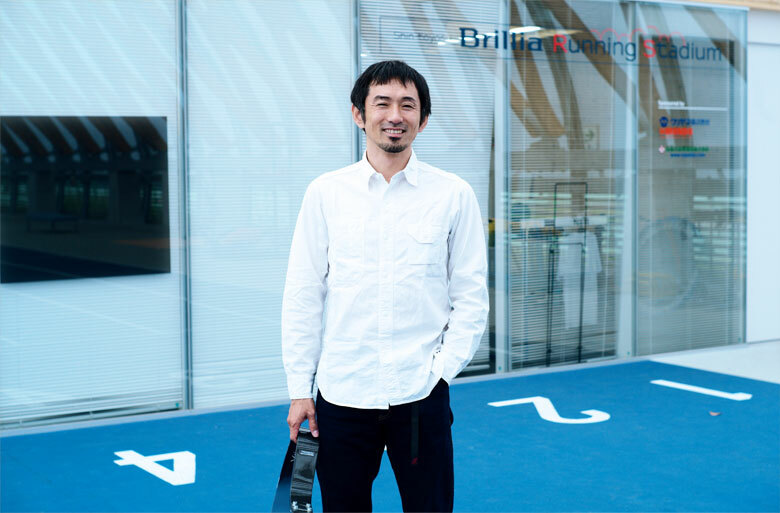 So in the Shin Toyosu Brillia stadium, you don’t have to make a reservation or anything, you just have to go there and exercise, the concept is going back to its primary roots where when you want to do a sport you’re are free to do it anywhere like in foreign countries where they use the stadium to exercise (walk). ー So is the stadium being used a lot? That's amazing. Ice skating is popular in Japan, but I rarely see an ice rink in Tokyo. Creating a stadium is a matter of maintenance cost, it is not that easy. However, opening the existing facilities is supposed to be done easily. In the Olympic host cities, the “after the Olympic” legacy of the stadium is a challenge, but I think that it will be a legacy and I think that it is better to do it now. One of the ideas is to change the stadium into parks. Often there are no fences around stadiums when you go to Europe, children are also playing in the stadium. In that sense there is little difference between the park and the stadium. Even foreigners can freely practice in the field just by following some little procedure. If you make it possible for everyone to use it freely, I think that how we face sports will change all in all. ー What if someone wants to only walk in the stadium track. I think it is okay. Do you know that many Japanese parks you actually can’t run and use the track in such a meaning? I think that it is better to stop that. It is a bad thing to decide what you should do or not in the park, such as danger if you hit something, but running is really awesome but something is strange. So I think it is better to liberalize the rules as much as possible. Because enjoying is also the etymology and base of any sports. ー Is there anything addressed about the Tokyo Olympics and Paralympic Games in 2020? 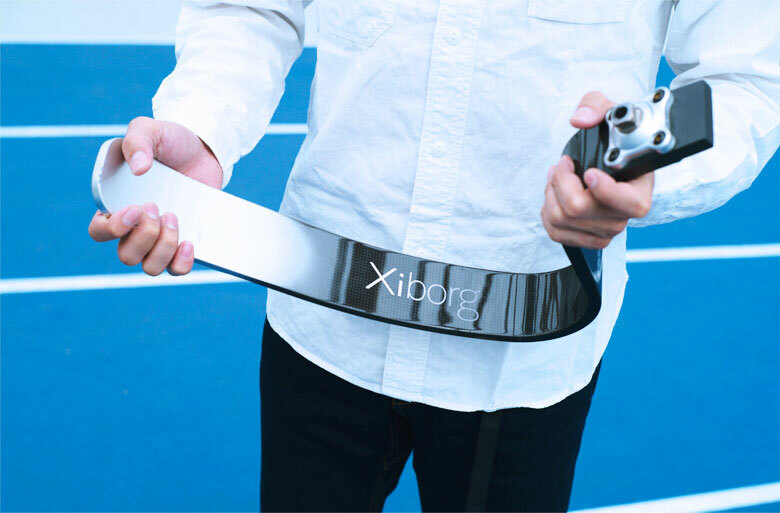 Although there is something that is not limited to 2020, for the time being, I am working on guidance using the prosthetic leg prostheses for the paralympian "Xiborg" in the meantime. First of all, the goal is to allow prosthetic athletes to be active at the Tokyo Olympic Games and the Paralympic Games. ー What kind of thoughts do you have on this? From the world point of view, I think that the moment the people's mindset changes, it’s tremendously good. It is said that when a trained athlete runs with competitive prostheses, they will run faster than the healthy ones. I feel that there is something symbolic for people with disabilities to win against healthy people, and I think that it includes a chance for the world to change. I believe that I can contribute in building a society that has generosity and that everyone can be equal through sports. Born in Hiroshima in 1978. Japan's first medal winner at the Sprint event world competition. Was in the three consecutive Olympic games : in Sydney (2000), Athens (2004), Beijing (2008). Japan record holder of men's 400 meter hurdle (as of May 2017). 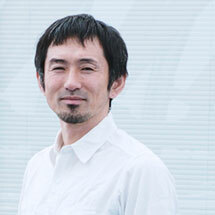 He is the representative of "Samurai Co., Ltd." who undertakes business related to sports. Participated in many publication such as "Philosophy of running" (FUSOSHA Publishing Inc.) "Power to give up" (President Inc.).